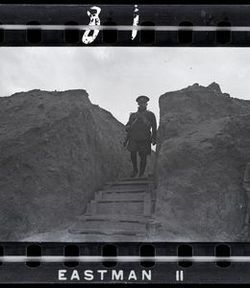 An exhibition that explores how photography can be both an instrument of surveillance and a tool to expose and challenge its negative impact. 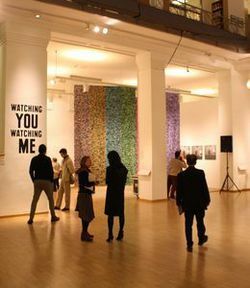 Moving Walls 22 / Watching You, Watching Me was on view at the Open Society Archives. The ten artists in the exhibition provided a satellite-to-street view of the ways in which surveillance culture blurs the boundaries between the private and public realm. Their use of photography includes a dynamic range of artistic approaches—from documentary to conceptual practice and from appropriation to street art. History Restaged brings together artists whose practices address the necessity of critical thinking and of individual and collective responsibility. 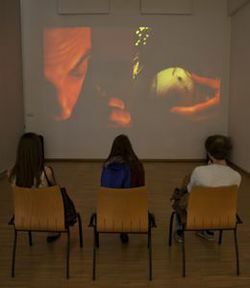 Employing strategies of re-staging, where the line between documentary and fiction ceases to exist, the selected works use filmic, literary, archival and art historical references to revisit historically significant events and unsettle our conventional notions of reality. Introductory speech by Rudolf Ungváry. We welcome anyone who would be ashamed if we let the plans come through! 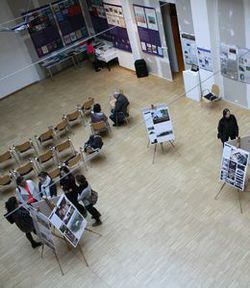 The interactive display and exhibition of posters taking place on February 7th at the Galeria Centralis will present to the visitors the cutting-edge technologies and tools employed in archaeological and historical-architectural research. Those interested can even study the equipment in use, since the professionals who employ these particular methods and technologies and their heritage preservation applications will be providing demonstrations starting from 11 a.m. and from 3 p.m.